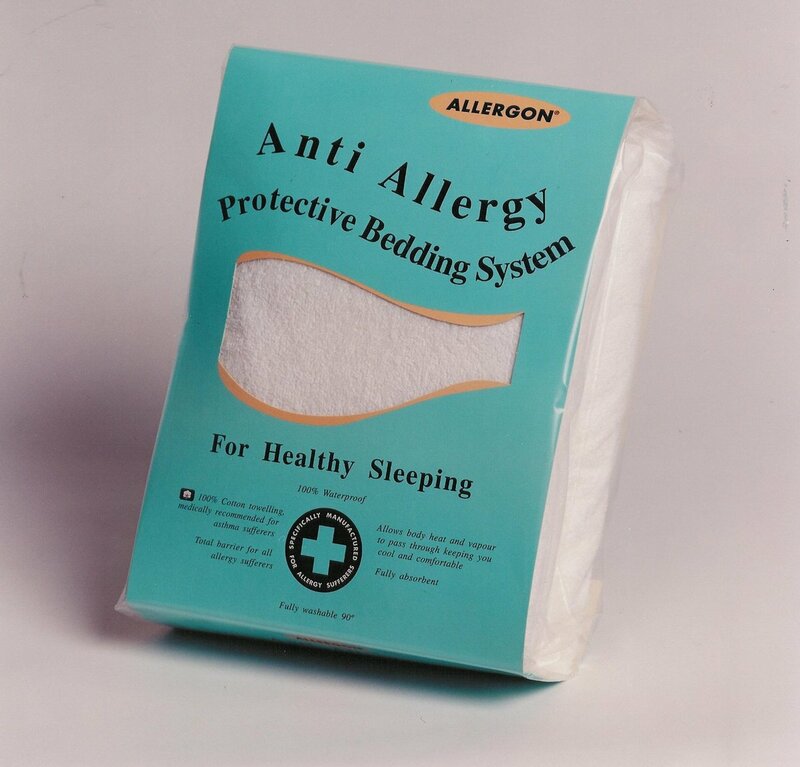 Our Allergon anti allergy breathable waterproof mattress protectors have deeper bands to protect extra deep mattresses. An Allergon mattress protector unobtrusively protects your mattress while allowing body heat and vapour to pass through; keeping you cool and comfortable. The correct mattress protector is absolutely essential to maintain the freshness of a brand new mattress while protecting it from dust mites and stains. Fits like a fitted sheet and easily removable for laundering. Whether you need ante allergy protection for your existing mattress or simply to ensure hygiene for the investment you have made in your new mattress, it is difficult to think of a good reason not to use a breathable waterproof protector. Please note there is no delivery charge for mattress protectors which are being delivered with other goods. £ 8 for one; £10 for two; for more than two please add £5 for each one.